Please jump over to Sew Prim Khris to join this fun swap that has been a success each year we have it. We would love some friendly, fun swappers to join us. 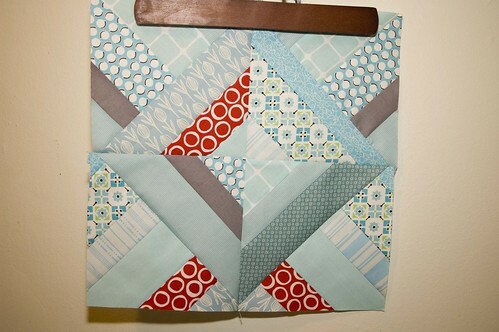 Jedi Craft Girl: Chevron Doll Quilt Tutorial : Heidi is sharing this cute little doll quilt but I would use it as a trivet or table topper/coaster. Rag rugs are simple to make, very sturdy, and the scrappy mix of colors makes them beautiful. If you don't have many fabric scraps on hand, look in your local thrift store for some old sheets, which yield lots of rug material. This design, which measures 19 inches by 29 inches, is crocheted with several fabrics to create vertical stripes....simple tutorial over at eHow. 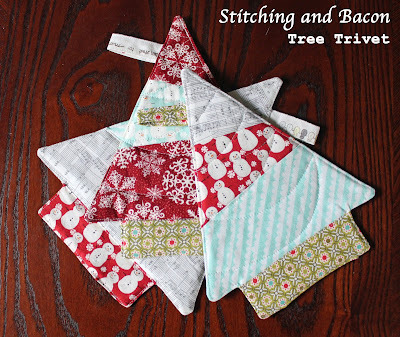 Stitching and Bacon: Tree Trivet Tutorial [Christmas in July Sewing): Happy Christmas in July! Half square triangles arranged to form this cute Christmas Tree. Amy Smart from Diary of a Quilter shares a quick easy quilt using a layer cake and charm packs over at the Moda Bake Shop. 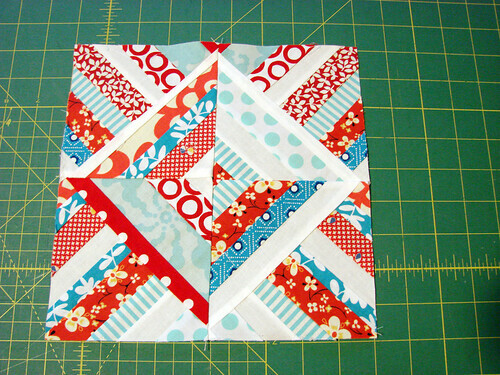 Diary of A Quilter shares how she makes this lovely 12" pieced heart block. Great block for healing heart quilts.